This Hoodie is a nice quality and is 80% cotton / 20% polyester so should wash and wear well. It comes in a variety of nice colours suitable for both boys and girls. 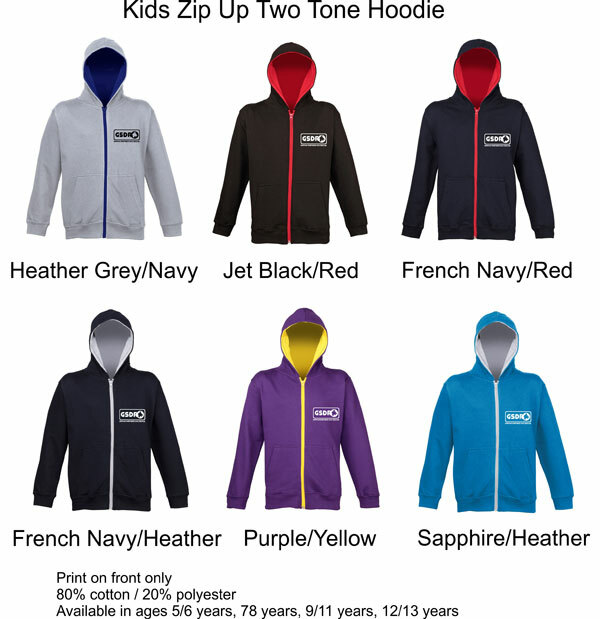 This zip up two tone hoodie comes in sizes to fit aged 5/6 up to 12/13 years of age.